What is an Oushak? 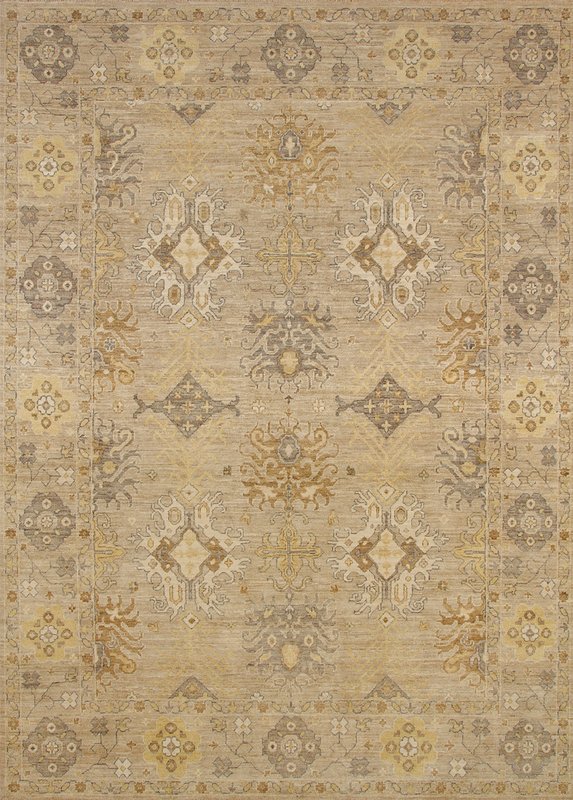 — Decorative Hand knotted Area Rugs | Custom Rugs | French Accents | Rugs and Tapestries, Inc.
Anatomy of an Oushak Rug? Learn the distinctions and methods involved in a production of an Oushak rug. Ushak carpets or Oushak Carpets are Turkish carpets. Oushaks were named after the city of Uşak, Turkey. The city was one of the larger towns in Western Anatolia. Western Anatolia happened to be a major center of rug production during the reign of the Ottoman Empire. Antique Turkish Oushak rugs had been well documented and were well known in Western Turkey since the beginning of the Ottoman empire. Which reflects the great influence and popularity of the Turkish rugs at the time. Little is recorded centuries after those periods, possibly because the production and craftsmanship dwindled with time. Historically speaking, Oushaks were referred to as "Anatolian Rugs". As data and information grew about it's origin it later was labelled by historians as Oushak. The term "Anatolian" is still used today by scholars to identify the rug if a specific attribution cannot be made. "Anatolian" essentially refers to a carpet that was made in Turkey. An intriguing part of an Ushak's history would be that well known European artists had heighten its popularity in the global front. Such as by famous and well respected artists like Hans Holbein and Lorenzo Lotto who were both known for their life-life portraiture. Their depiction of the early Turkish Oushak carpets in their paintings brought popularity In the European markets. Hence the terms "Lotto carpets" and "Holbein carpets". These terms refer to the realistic representation of the rugs within the paintings which symbolized the status of the sitter depicted in the painting. Oushak rugs are generally woven in a method known as the Ghiordes knot. Antique Oushak rugs is typically characterized by relatively loose knots, long piles due to the use of high-quality wool in the production. The universally recognized Oushak rugs have a star pattern. The anatomy of an Oushak typically consists of a distinctive design, usually containing a central medallion or the popular "star" pattern. The medallions often are inspired by designs used on Ottoman manuscripts or vice versa. During the 19th century there was a revival of sorts of Antique Ushak rugs. The demand was high but production was poor. Today, we know more about the process than ever before. At French Accents, we have successfully reproduced the authentic weaving techniques that were once employed during the classic times. We not only offer the traditional designs that you would once see in Turkey but transformed the classic taste to fit today's changing lifestyles. What makes our rug unique is our variety in the decorative elements and colors. Our goal has always been the same, revive and revitalize. We always want to reproduce classic designs and make it accessible for today's lifestyle.